Rising Star: Gavin Escobar Ready for a Breakout Year? 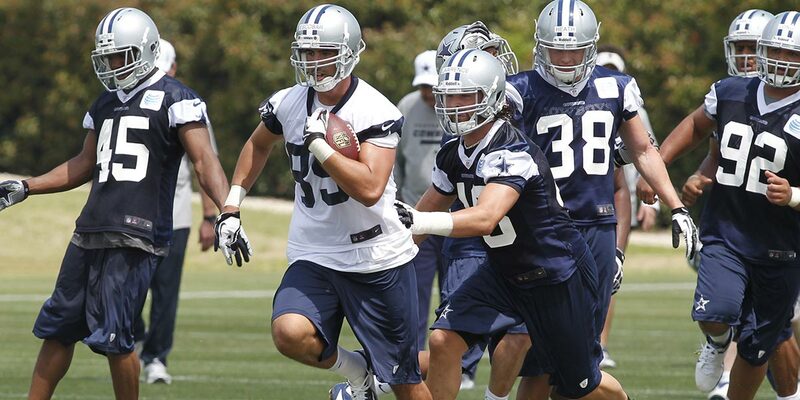 When asked who will breakout in 2014 for the Dallas Cowboys, the first person I thought of was Gavin Escobar. I went through some other names but eventually found myself coming back to the second year tight end from San Diego State. Many people thought it was a stretch to take him in the second round of the 2013 draft. His pedestrian numbers in 2013; 9 catches for 134 yards and 2 touchdowns seemed to support that theory. Going into his second year what can be expected and why on earth would I think he'll have a breakout year? I looked at who I thought was a breakout player last year, Terrance Williams, and what I found was interesting. Terrance had 44 catches for 736 yards with 5 TD’s. Not to mention, he averaged 16.7 yards per catch. Are those numbers breakout worthy? Terrance was a rookie, nothing was expected from the projected third receiver so it was deemed breakout. As we see with most offenses, when you take away some of the weapons there will always be someone who can contribute unexpectedly. For this reason, I think Gavin Escobar is a solid candidate for a breakout. 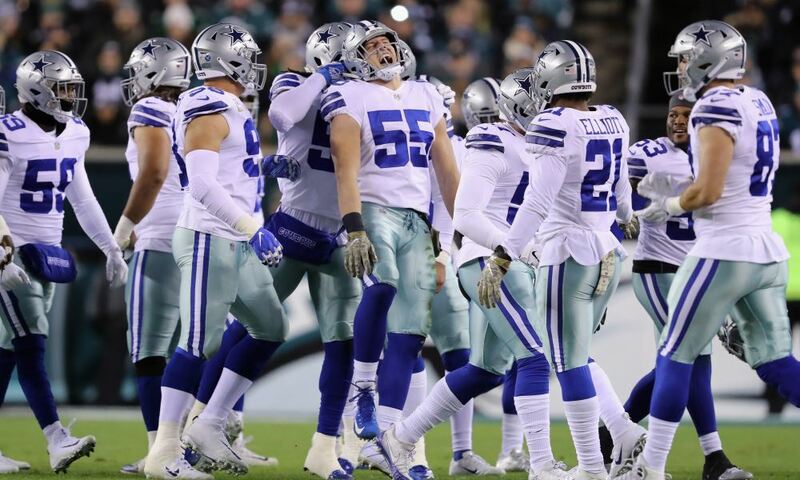 [su_lightbox src="http://espn.go.com/blog/dallas/cowboys/post/_/id/4729836/best-caseworst-case-gavin-escobar"]Todd Archer recently looked at the best case/worst case scenario as it relates to Escobar. [/su_lightbox] Todd believes the best case scenario is 30-35 catches. If this holds true, is that a bad year? That would be 9-14 catches short of what Terrance Williams did last season when people thought he had a great year. I believe with the addition of Zack Martin the line will be much approved. A lot to ask of a rookie, I know, but remember what Travis Frederick did as a rookie? Gavin hasn't been a good blocker, but with the upgraded line, does he need to be? With the line improved, the two tight end sets that are frequently used may limit the use of an extra blocker which could mean more opportunities for Gavin. 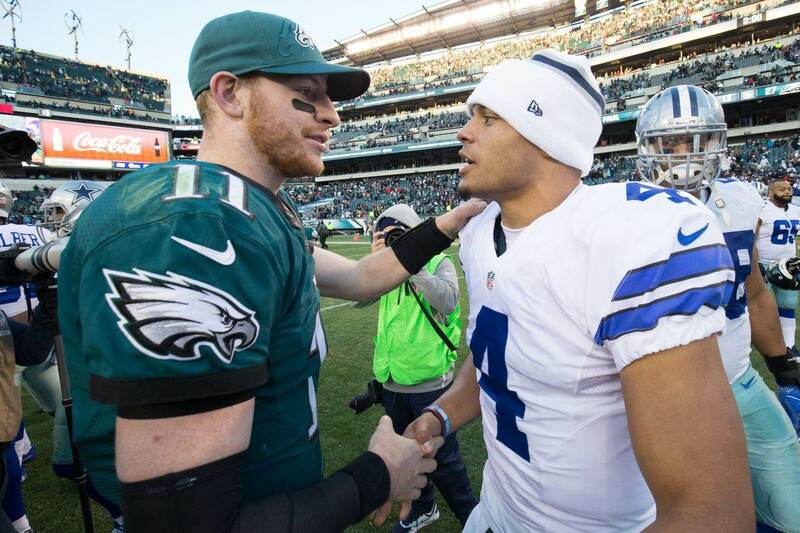 If Jason Witten were to go for a ten-and-in maybe Gavin goes for a five-and-out. Who knows how they will construct it but I think the possibilities for getting him the ball will increase because of the concern to keep one person in to block will diminish. 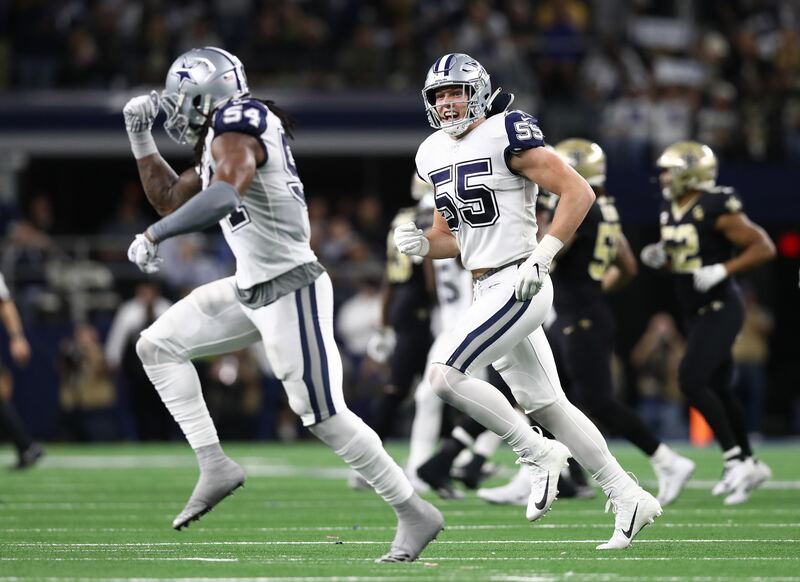 My fellow writer at DallasCowboysNation.com, Michael Davis, predicts James Hanna to have a great year, but does James see the field as much if he doesn’t need to be in there for protection? The helicopter touchdown Gavin had in the season finale against the Eagles makes me excited about the potential for this kid. Sure, it’s one play, relax you may say, but did you see the athleticism? That’s something we’ve never seen from Jason Witten, who is probably the best TE in Cowboys history. Gavin is fluid and has great hands similar to that of a receiver. If you don’t believe me, read what dallasnews.com writer David Moore wrote about him. I truly believe that Scott Linehan will get creative and use Gavin in spots that will make the defense have to think. Jason Witten is still the best TE on the team and will continue to be a target but he's not a deep threat, nor is he someone who will scamper for 30 yards. Gavin has a chance to improve greatly and if he does this, by catching more than 35 balls and 5 TD’s, I think you’d have to say that the second year tight end nicknamed “Pablo” would be a lock for breakout player of the year. Can Brandon Weeden Rise to the Challenge?